Home » Dispatches » Who fills the vacuum? In December 2018, the Trump White House ordered the Pentagon to plan for a troop withdrawal from Afghanistan. According to officials, plans for this complete withdrawal must be prepared sometime thiAs year. Interestingly, this order follows the Trump administration’s announcement that it is also pulling all American forces out of Syria after claiming victory over the Islamic State (IS) in Syria. This decision was subsequently reversed as the administration allowed approximately 400 American troops to remain in Syria, thereby ensuring their British and French allies remain alongside. The U.S. has approximately 14,000 troops in Afghanistan, mainly logistical and training personnel. According to reports in July 2018, U.S. diplomatic representatives, along with military officials, hoped the move would kickstart Afghan peace negotiations, which included direct talks with the Taliban. The former American ambassador to Afghanistan, Zalmay Khalilzad, had reached out to senior Taliban leadership in the hopes of launching peace negotiations with the objective of ending the war before the Trump administration decided to order American troops out of the country. In a carrot-and-stick strategy, the U.S. intended to force the Taliban to negotiate by using a targeted aerial bombing campaign that has dropped more than 5,200 bombs since Sept. 30, 2018. The surprise announcement by Trump’s people appears to have caught the Afghan government of President Ashraf Ghani off guard and officials tried to portray the reversal of American military policy as not problematic. It was the contention of many, including political and foreign officials in Pakistan and Afghanistan, that any unilateral pullback of American troops could usher in a period of political instability, giving the Taliban substantial leverage during their ongoing negotiation. Or, in the worst-case scenario, the troop withdrawal would sink the peace talks, which would inevitably open the way for further political violence. The chairman of Pakistan’s Senate foreign relations committee, Mushahid Hussain, proffered the view that any drawdown of American forces would be construed as “an admission of defeat in America’s longest war.” It would also be “the biggest military setback for the U.S.” since the fall of the American-supported South Vietnamese government in 1975. In tandem, Washington would have to increase its dependence on Pakistan as a “force for peace in Afghanistan” and the withdrawal “could lead to a postponement of Afghan elections.” This, in turn, would force the formation of a broad unity government that would have to include the Taliban. A number of analysts in Afghanistan and Pakistan were pondering why Trump would suddenly announce plans for withdrawal options at a critical time when negotiations with the Taliban, which has long demanded a total departure of American forces from Afghanistan, seemed to be gaining traction. Moreover, the Taliban signalled how seriously it was taking these negotiations by sending a senior delegation to participate in the United Arab Emirates-based talks. Trump’s announcement came in the middle of U.S. talks aimed at politically negotiating the end of the war. The timing reportedly contributed to the resignation of defence secretary James Mattis, who was the principal architect of Trump’s policy on Afghanistan. For the Taliban, the announcement was a confidence-building measure, as it made it very clear that an American withdrawal from Afghanistan was critical to any ceasefire agreement. American forces deployed to Afghanistan are assigned training, assisting and advising roles in direct support of Afghan forces under the auspices of the NATO-led Resolute Support Mission (RSM). The United States also has a separate counter-terrorism mission largely targeting Islamic extremists such as al-Qaeda and the Islamic State. The reduction by half of the 14,000 American troops deployed at present will not likely change the situation on the ground in Afghanistan, particularly when the Taliban leadership is engaged in peace negotiations with the U.S. 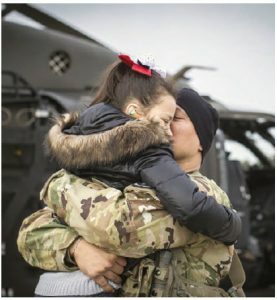 It should be noted, however, that in addition to the U.S. military personnel, there are more than 25,000 private security contractors deployed in Afghanistan and they will likely continue to assist Afghan forces in their training and operations. The contrarian view is also concerning in that, along with the withdrawal from Syria, such an initiative could be viewed as political capitulation. The U.S., as the leader of the Western world, has long been seen as a stabilizing force in the global geopolitical context. Such moves by the Trump administration signal to competing regional players, such as China, Russia, India, Iran and Pakistan, that there will be a political vacuum created should an American withdrawal from Afghanistan become a reality. This situation would likely exacerbate regional tensions, particularly between Pakistan and India, possibly within Afghan borders. Similarly, as witnessed following the U.S.’s rapid withdrawal of forces and subsequent dramatic political departure from Vietnam in 1975, the U.S.’s leadership, credibility and reliability amongst its friends and allies would invariably be called into question. The questions that do arise are numerous. Is the Taliban genuinely interested in pursuing substantial negotiations with the aim of achieving a viable peace agreement? Is it negotiating to achieve what it could not on the battlefield? Recent territorial gains and appearing to want to engage in negotiations provide the Taliban the opportunity to garner a degree of political legitimacy. However, considering its history as a government until 2001, it would be difficult to believe that it would be interested in participating in a power-sharing arrangement with other political parties. In both structure and operational terms, the Taliban remains unequivocally a fundamentalist jihadist terrorist group. To date, Afghanistan has a reputation of being the country most affected by terrorist activity, having more than 20 insurgent and terrorist groups operating within its borders. Should the Trump administration commence a drawdown of forces, this would also create the conditions for a propaganda windfall for the jihadist narrative and cause in the region, proclaiming that a second superpower, the U.S., has been defeated by the mujahideen. The reality on the ground forces the recognition that successful negotiations will be difficult, as large areas of Afghanistan are currently controlled by the Taliban. Moreover, the chronically weak Afghan army continues to suffer heavy casualties each month. Should a partial American withdrawal be enacted, this would likely reduce the incentive of the Taliban leadership to negotiate a deal. Any withdrawal will definitely impact the willingness and determination of Afghan ground forces to aggressively defeat the enemy, particularly as they continue to suffer low morale, remain poorly equipped and paid, and persistently suffer from a dearth of professional military leadership. A drawdown would have implications for a number of the regional players. India has invested billions of dollars to build infrastructure and institutions. This financial initiative was predicated on the continuing American presence in Afghanistan and the inherent safety and security provided by the U.S. military deployed in the country. Should an American drawdown commence, it would embolden Trump’s No. 1 geopolitical foe — the Islamic Republic of Iran — as it seeks to fill any perceived power vacuum left by the U.S. Iran, because it shares a border with Afghanistan, continues to flex its military and diplomatic influence by covertly aiding the Taliban leadership when it is in its political interest. The Taliban leadership has been emboldened by the new support from Russia, Iran and China. With American sanctions cutting into the Iranian and Russian economies and the seeming all-out trade war being waged by Trump against China, we could see the possible foundation of a new Cold War. These regional powers are opportunistically seeking to employ the Taliban forces as a strategic tool to ratchet up pressure on Trump. In the case of Russian meddling in Afghanistan, this is reminiscent of the 19th-Century Anglo Russian rivalry — the Great Game — that sought to politically dominate central Asia. Meanwhile, China is consciously courting the Taliban, offering to mediate talks, while, the Taliban leadership has promised not to attack China’s $3-billion project aimed at mining the huge copper deposits near Kabul. As for Iran, the American government has most generously and graciously eradicated Iran’s two border threats. First, the Taliban government in Afghanistan in 2002 was felled. Second, Iran’s arch-enemy, Iraq’s Saddam Hussein, was quickly eradicated by the U.S. invasion and occupation in 2003. This situational windfall has enabled Iran to relentlessly and most opportunistically spread its influence for its own strategic advantage. Following the Iraqi invasion, Iran exploited the chaotic civil war that ensued, enabling it, for all intents and purposes, to create Iraq as a satellite state. It would appear that Iranian aims in Afghanistan are to ensure the departure of American and NATO troops, and that any Afghan government would not pose a threat to its reigning interests. In that light, Iran hopes to keep Afghanistan, for the most part, destabilized — ideally with a government that would not threaten its agenda or interests. Iran continues to covertly assist the Taliban with weapons, money and training and has offered it sanctuary and fuel for its trucks. Iran assisted in recruiting Afghan Sunni refugees in Iran to fill the ranks of the Taliban. Politics inevitably makes strange bedfellows and Iran and the Taliban, albeit historic rivals, one being Shiite, the other Sunni, have shared interests. Iran supported the anti-Taliban opposition and initially assisted with the American intervention that drove out the Taliban government in 2001. Iran soon became concerned with the expanding NATO mission in Afghanistan and saw the deployment as a threat to its regional influence and an opportunity to inflict a high cost in blood and treasure from the American and NATO mission. The Iranian goal was focused upon forcing an American-NATO departure from the region. 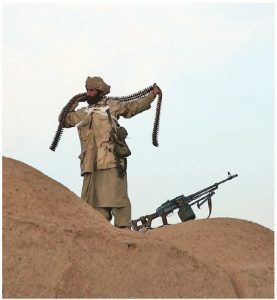 It soon became apparent that the Taliban was indeed the lesser enemy and, therefore, with the right persuasion, could become a useful Iranian proxy. With the introduction of the Islamic State into the Afghan mix, the Taliban has become even more attractive to Iran. Iran has invested more than $400 million to aid Afghanistan in accessing Persian Gulf ports. The financial assistance is complemented by Iranian intelligence and military assets covertly operating in Afghanistan’s western provinces, infiltrating police and government departments, as well as conducting targeted assassinations and other intelligence activities, as required. Iran has reportedly facilitated meetings between Taliban leadership and Russian officials to secure funds and weapons from Moscow to arm forces in the field. Recently, Zalmay Khalilzad, the chief American negotiator conducting U.S.-Taliban talks, appears to have made headway on the core elements of the deal. What’s so far been disclosed is that the Taliban promises Afghan territory will not be used by international terrorist groups and that the U.S. agrees to withdraw its forces in Afghanistan. This revelation, however, leads to many complex and difficult-to-answer questions about how fast the withdrawal would be, what residual forces would be left in Afghanistan to protect the U.S. Embassy, and what capacity they’ll have to conduct limited counter-terrorism strikes. 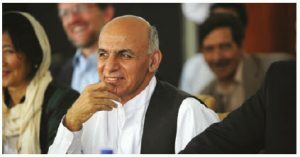 Moreover, the Taliban leadership finally agreed to enter negotiations with the Afghan government, particularly as President Ghani remains circumspect about the ongoing negotiations between American and Taliban representatives. Should they hammer out an agreement that succeeds, it would be regarded as worthwhile, given the respective contributions and sacrifices of those nations — both NATO and non-NATO — who joined the American-led coalition and sacrificed blood and treasure. According to a U.S. Department of Defense report, 2,216 American soldiers have been killed in action in Afghanistan and more than 20,000 wounded since 2001. This does not account for the nearly 29,000 Afghan security personnel killed in Taliban attacks, collateral damage and civilian losses since 2015. Meanwhile, during Canada’s deployment, 158 military personnel lost their lives. The country carried the additional burden of an estimated $22 billion in war costs. Canada’s 12-year participation in the Afghan theatre saw the Canadian Armed Forces assume a variety of roles, from operating a reconstruction team, to undertaking a spectrum of operations that ranged from combat, security and internal development to advisory and support training operations in varying capacities and regions in Afghanistan. Canada deployed a total of 40,000 Canadian military personnel — many carrying out multiple missions. Like the Roman Empire, the United States appears to have exhausted itself. Some analysts have argued that it is experiencing imperial overreach — the phenomenon that a great power declines when it extends itself beyond its ability to sustain its global economic and military commitments. Ending the U.S.’s longest war in history, which marked its 17th anniversary on Oct. 7, 2018, appears to be on Trump’s agenda. 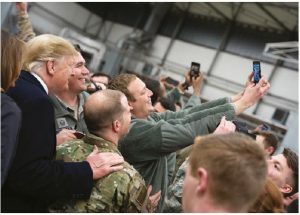 After spending a staggering $1.6 trillion during the Bush, Obama and Trump administrations, and likely much more, on the Afghan conflict and the country’s reconstruction, Trump appears to have come to the end of the road vis-à-vis Afghanistan. Unfortunately, a drawdown or complete withdrawal would likely mean more bloodshed for this plagued nation. In tandem, a withdrawal provides a sterling opportunity for a number of regional powers to further their own respective interests. As to the prospects of peace, this remains highly debatable due to the competing interests of a number of wily regional neighbours who play the great game. Col. J. Paul de B. Taillon (ret’d) is honorary Lieutnant Colonel of the Canadian Grenadier Guards and an adjunct professor at the Royal Military College of Canada. He has a PhD from the London School of Economics, is a graduate of the U.S. Army War College, author of more than 60 publications and has served in Great Britain, the U.S., Oman, Bosnia, Kosovo, Ukraine and Afghanistan. Col. J. Paul de B. Taillon (ret’d) is honorary Lieutnant Colonel of the Canadian Grenadier Guards and an adjunct professor at the Royal Military College of Canada. « What happens in Syria now?